Cold Air NOW! is a new airconditioning company in Pompano Beach, Florida. John Parker had many years of experience in marine air conditioning and wanted to expand his business to home and business air conditioning. John came as a referral from Smitty’s Old Fashioned Butcher Shop. He needed a logo, business card design to complete the branding. 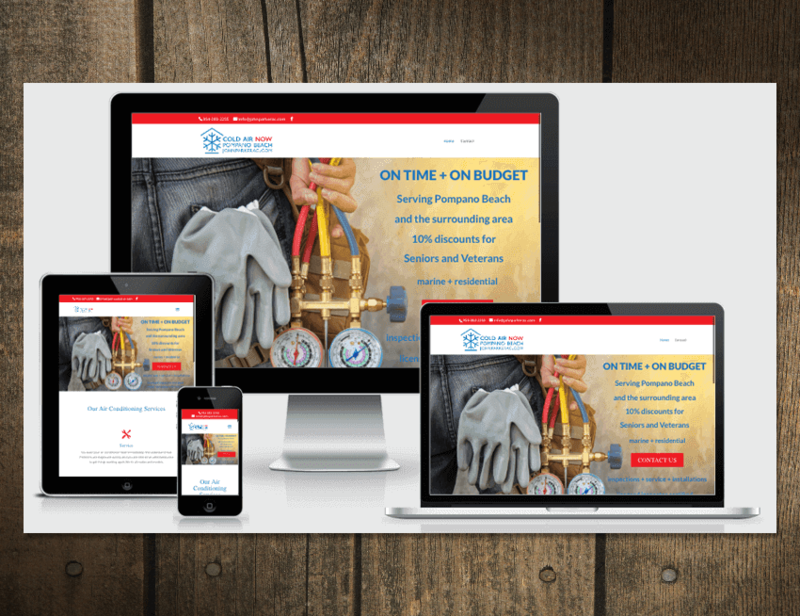 Cold Air NOW!’s website did not require any extra needs or solutions. For form submissions, Caldera Forms was used.